A tribute to Burt Rutan: this design he called the "Catbird". It is the only one of its kind, built in 1988. It won 2 world speed records which still stand. 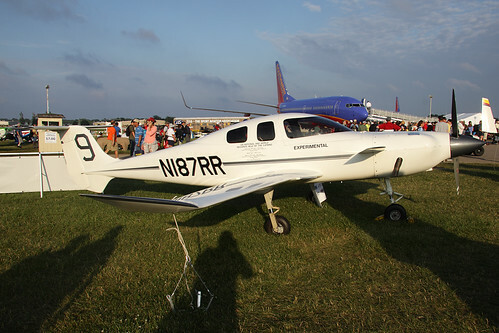 Rutan used this plane as his personal transportation until the mid-90s when he built the Boomerang. At that point, they decided to store the plane - upside down, hanging from the ceiling of the hangar. 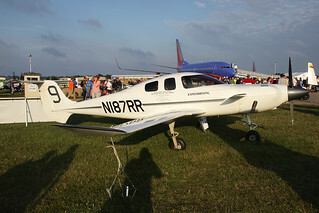 It was restored in 2011 just prior to being flown to Oshkosh.